Book Adventures: Winner: YA Fairies & Fantasy Giveaway Hop! 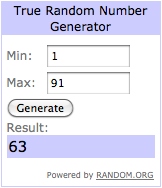 Winner: YA Fairies & Fantasy Giveaway Hop! Donna @ Donna's Blog Home is the winner of the Bree Despain, Dark Divine giveaway set! 1 signed Savage Grace ARC, three Dark Divine bookmarks (1, 2, & 3), and two bottles of Dark Divine (1 & 2) nail polish!